The joy and friendship of the holiday season aren't just for people - and these animals are gathering to celebrate together! A fox, squirrel, rabbit, horse, and birds surround a festive snowman in the woods. The playful palomino can't resist nibbling the snowman's carrot nose! The snow globe's base is adorned with a serene nighttime woodland scene, complete with a stag surveying his domain. 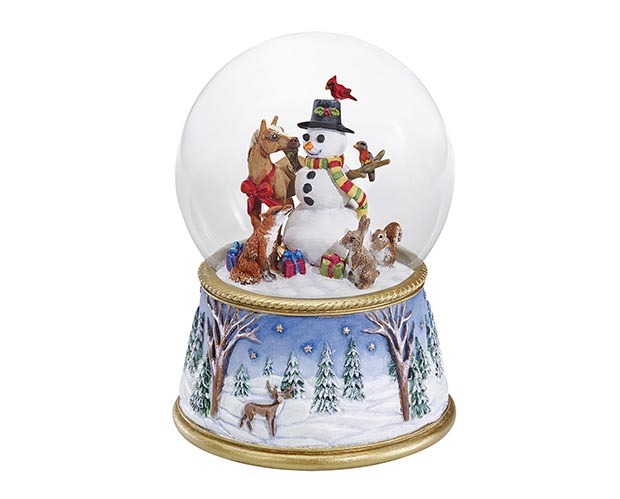 This Musical Snow Globe from Breyer Horses plays "Deck the Halls."